Schuylkill Yards will be defined by thoughtful place-making, civic engagement, and quality execution. 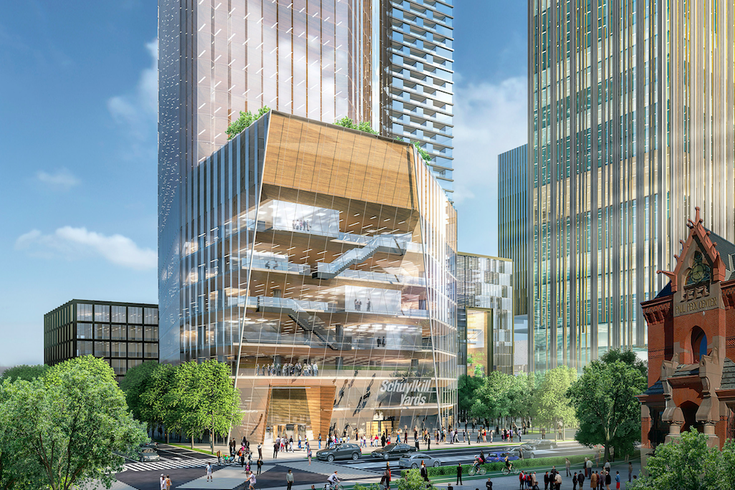 Drexel University's $3.5 billion partnership with Brandywine Realty Trust to create Schuylkill Yards in West Philadelphia figures to be one of the city's most significant development ventures of the next several decades. Envisioned as an "knowledge neighborhood," Schuylkill Yards will serve as a home to educational and medical institutions, entrepreneurial spaces, research laboratories, corporate offices, hospitality venues, businesses, retail spaces, residences and open public spaces. The first phase of the project, Drexel Square, broke ground last November and will bring a 1.3-acre public park to the corner of 30th and Market streets. Another 1.3 million square feet of mixed-use space will form part of the initial construction of Schuylkill Yards. In its entirety, the project is expect to unfold over the course of the next 15 to 20 years, developing in tandem with Philadelphia's ambitious 30th Street Station District Plan. Brandywine Realty Trust will invest another $5.6 million in a neighborhood engagement program focused on small business development, job creation and affordable housing. The various elements that make up Schuykill Yards came together over years of strategic research by Drexel and its investment partners, who saw a shared opportunity to enhance the campus and create a hub for innovation in University City. A new video from JLL, the investment management firm that helped Drexel craft the public-private partnership, dives into the process that led to vision for Schuylkill Yards. We also get to see few active shots of what the university has in mind for Drexel Square. "Schuylkill Yards [is] really going to define the campus for the long-term," said Drexel president John Fry. "This is not only a big, wonderful real estate project, but it's a sort of statement about who Drexel is."